Mountainous terrain, volcanic soils, innumerable microclimates, and an ancient culture of winemaking influenced by Greeks, Phoenicians, and Romans make Italy the most diverse country in the world of wine. This diversity is reflected in the fact that Italy grows the largest number of native wine grapes known, amounting to more than a quarter of the world's commercial wine grape types. 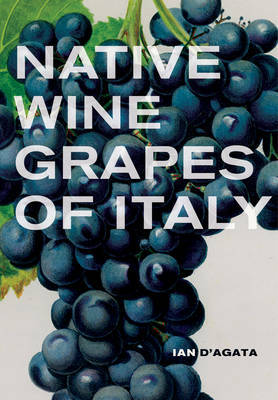 Ian D'Agata spent thirteen years interviewing producers, walking vineyards, studying available research, and tasting wines to create this authoritative guide to Italy's native grapes and their wines. Writing with great enthusiasm and deep knowledge, D'Agata discusses more than 375 different native Italian grape varieties, from Aglianico to Zibibbo. D'Agata provides details about how wine grapes are identified and classified, what clones are available, which soils are ideal, and what genetic evidence tells us about a variety's parentage. He gives historical and anecdotal accounts of each grape variety and describes the characteristics of wines made from the grape. A regional list of varieties and a list of the best producers provide additional guidance. Comprehensive, thoroughly researched, and engaging, this book is the perfect companion for anyone who wants to know more about the vast enological treasures cultivated in Italy. Ian D'Agata is a Rome-based wine writer and educator who writes regularly for Stephen Tanzer's International Wine Cellar newsletter and for Decanter magazine. He is the Scientific Advisor of Vinitaly International and is now also Scientific Director of the Vinitaly International Academy, and is the author of The Ecco Guide to the Best Wines of Italy.